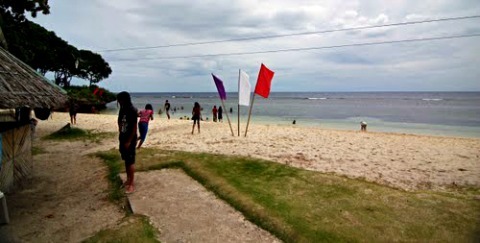 The Department of Environment and Natural Resources (DENR), Region 10 is supporting the local government of Baliangao, Misamis Occidental in promoting Baliangao Protected Landscape and Seascape (BPLS) as an eco-tourism site. Located in barangays Tugas, Misom, Sinian and Landing, the 299.9 hectare protected area thrives with 21 species of mangroves with Bakauan dominant in the said area. It has a 75 hectare marine sanctuary which is home to 39 colorful fish species. Eco-tourism activities include boating, snorkeling, scuba diving and islet hopping. Nature walk can be done in the boardwalk of the Baliangao Protected Landscape and Seascape. The boardwalk which was constructed beneath the mangrove forests connects the islets from the mainland. It also serves as a research laboratory that offers educational and scientific values for marine researchers or related studies. Proclamation No. 418 dated November 22, 2000 declared the wetland areas of Baliangao as a protected area under the category of Protected Landscape and Seascape. It is under the management jurisdiction of the DENR and administered in accordance with the provisions of the National Integrated Protected Areas System (NIPAS) Act of 1992, and its implementing rules and regulations. A Protected Area Management Board (PAMB) was established to strengthen the conservation and protection efforts of the area. Last year a 3 hectare mangrove rehabilitation project was undertaken within the area under the National Greening Program (NGP). Other activities conducted in BPLS include managing the protected area, implementing the Biodiversity Monitoring System (BMS) and the Nature Conservation, Education and Extension in schools or communities visited. Prior to its proclamation as a protected area it was known as the Misom Sea Sanctuary established by the local government of Baliangao, Misamis Occidental pursuant to Resolution No. 01, Series of 1991. The 74-hectare marine reserve at barangay Misom was established by the PIPULI Foundation, Inc., an environmental non-government organization.